Today I decided to run/hike up to the Beane Trail, which connects to the Long Trail, to do some trail running. The run up the dirt road from my house to the trail head was actually more difficult than the trail running! Although my lungs protested at the vigorous climb (where did the lungs that did two half-marathons this year go? I’d like them back! 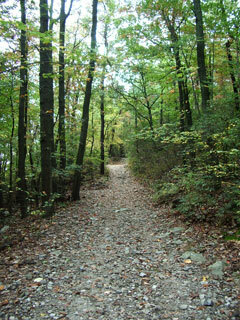 ), I plan to return often to these trails because I can use the workout and because the trails were serenely beautiful. Trail running is a fun and challenging alternative to road running. It teaches balance and agility and improves confidence and quick responses. It also feels cool and adventuresome. So, if you want to add some variety to your running routine, I suggest you find some trails and explore this aspect of the sport. 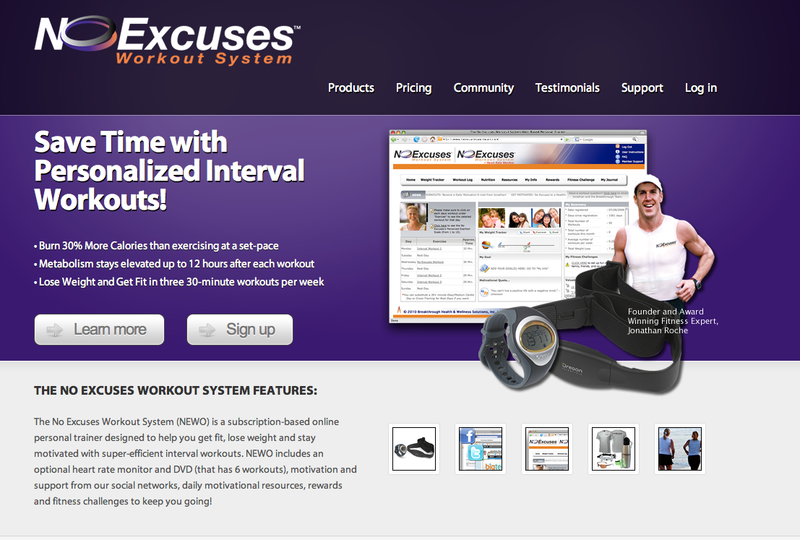 I think most people make some sort of diet and exercise resolutions, so I’d like to recommend a couple of web-based programs that I’ve used and really enjoy. First, the No Excuses Workout system is great for planning workouts, monitoring your weight-loss progress, and motivating you to keep going. The program is easy to use and has helped me a lot. I use the heart rate monitor all the time now and love it! Using the monitor and the workout plans, I’ve improved my speed and endurance. I used the system’s email notification system to remind me when I hadn’t entered anything in for a week, and you can adjust those settings according to your personal needs. Although I was rather sporadic about entering my information, I lost 11 pounds this year, and I attribute some of that to this program’s motivating me to keep working out and to keep improving. You can also earn reward points for entering your workout information and weight, and then you can redeem your points for anything from a water bottle or pair of sunglasses to a personal coaching meeting with the program’s founder. If you’d like to join this program, please let me know first, so I can get the points for recommending you! Second, I’d like to recommend LIVESTRONG for monitoring calorie intake (you can also use their fitness plans, but I’m partial to No Excuses right now). You can create a login in seconds, and the site is easy to navigate and has tons of cool features. The MyPlate page keeps track of your calorie count, shows how many calories you have left, and tracks how many calories you’ve burned, and reports the info in cool bar graphs and pie charts. MyPlate has tons of calorie counts in it’s system–way more than CalorieKIng and sites like that–and you can add and store your own recipes or look up recipes that are similar. I also love the MyMeals tab, which allows you to store combinations of food that you commonly have at one meal; for example, you could enter oatmeal, banana, and milk and save it as “oatmeal breakfast” and then you never have to enter the individual ingredients again. I love the simplicity of this system. From about Thanksgiving to Christmas, I used CalorieKing and an Excel chart to keep track of my calorie counts (and lost about 5 pounds during that time frame, btw), but I found that system difficult to manage as it required much flipping between web pages and the Excel file. However, I’ve used LIVESTRONG the last few days and love it! I have it as a tab on my menu bar, so I can easily access and update my calorie counts. I’m excited to see if the ease of using LIVESTRONG helps me in the long run more than the Excel version did. This year, my health and fitness goals are to lose another 15-20 pounds, work out 5 times a week (including the No Excuses strength-training plan at least one day a week), run a 1/2 marathon, improve my 5k time, and earn enough points to get a pair of super-cool sunglasses.